The Journal of Cosmetic Dentistry’s Book Review is an opinion piece highlighting works that are currently available from publishers in the dental industry. 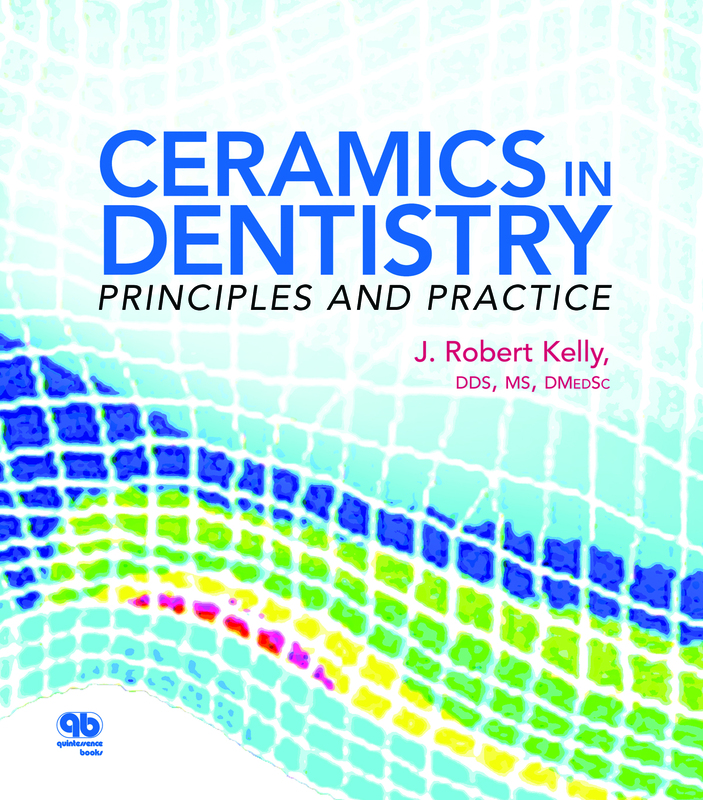 This recently published textbook represents a compilation of the “Kelly Lectures on Ceramics.” Professor Kelly is a well-respected researcher and educator who has spent much of his academic career at the University of Connecticut Health Center. His 117-page publication is a collection of seven lectures, each representing a chapter in what appears to be his lecture series for students. Adding to the well-illustrated and entertaining style of writing is a QR code system of links to additional online content consisting of videos, lectures, and animations. Each chapter begins with a useful summary of key points and ends with an extensive list of references. Chapter 1, Introduction to Ceramics in Dentistry—Where did this Stuff come From?, deals with an interesting history of Europe’s fascination with porcelains from China and Japan and traces the development of porcelain manufacturing starting in the 1700’s. Chapter 2, Ceramics 101: What is This Stuff Anyway?, defines ceramics, presents a classification system and explains physical properties such as strength and fracture toughness. Chapter 3, Indications for All-Ceramic Systems Based on Clinical Evidence, describes ceramic options for partial coverage, individual crowns and three-unit fixed partial dentures. It also covers basic information on color including color systems, shade taking, translucency, and opacity. 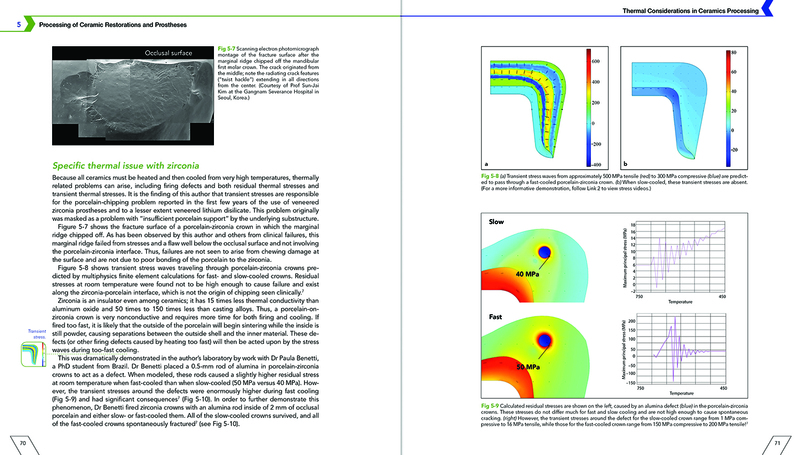 Chapter 4, Engineering with Ceramics: Maximizing Durability and Esthetics, deals with understanding ceramic failures. Chapter 5, Processing of Ceramic Restorations and Prostheses, explains the basics of ceramic processing including CAD/CAM and pressing, some of the unique challenges with zirconia, and the specific issues involved in implant dentistry. Chapter 6, Getting it Right: Basic Requirements for an Esthetically Successful Outcome, also deals with shade, translucency/opacity, incisal edge characterization, and surface texture. Gingival colored ceramics are also discussed. Chapter 7, Structural Ceramics in Implant Dentistry, covers the qualities of zirconia, alumina, and lithium disilicate in greater detail. This text should appeal to dental professionals, both students and practitioners, looking to attend Professor Kelly’s “virtual lecture series” on dental ceramics. Take advantage of a special offer from Quintessence Publishing! As an AACD member, purchase Ceramics in Dentistry: Principles and Practice and receive 25% off the regular price. Simply enter promo code JCDMEM at checkout.